For the past few months, I have been drinking a number of coffees and teas and thought that you’d like to give it a try at home, if it is available. 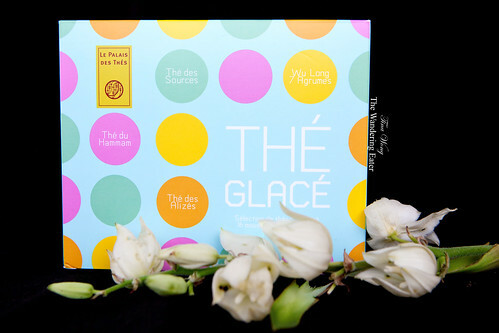 Recently I received a box of Le Palais des Thés Thé Glacé XL Iced Tea Bags ($29). It’s a delicious assortment of their classic four flavor blends: Thé du Hammam, Thé des Sources, Thé des Alizés, and Wu Long 7 Argumes but you make in an iced tea form. No boiling of water is necessary. All you would use is a medium sized pitcher, water straight from the tap (filtered or from a bottle) with the large tea bag of choice and let it steep for at least 30 minutes, and you’re ready to enjoy. 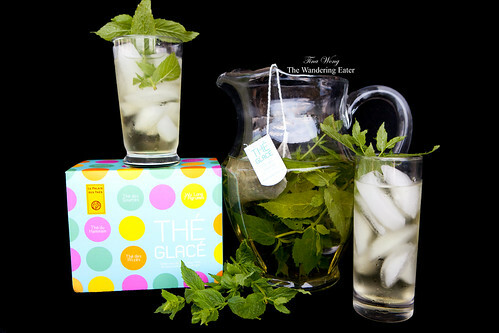 This makes it an ideal refreshing beverage to drink during the sweltering summer days (like we have in New York City). This particular assortment will be available on Monday, July 16, 2012 through their website. 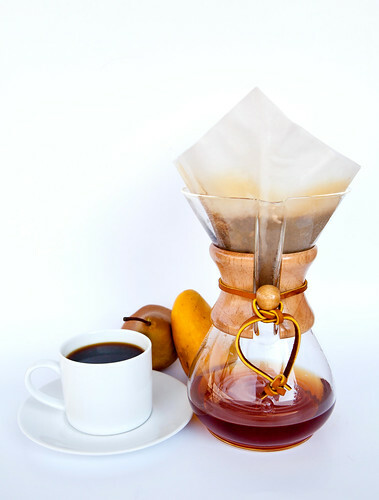 The Chemex coffeemaker was invented in 1941 by Dr. Peter Schlumbohm Ph.D. The Classic 6-cup model (seen above, $38.90) that is simply made from non-porous, borosilicate glass fastened with a handsome polished wood collar and leather tie. The collar serves as an insulated handle around the middle of the coffeemaker. It’s both beautiful and functional. The Chemex brews coffee without imparting any flavors of its own and most notably, it highlights the sweet notes of the coffee beans brewed. 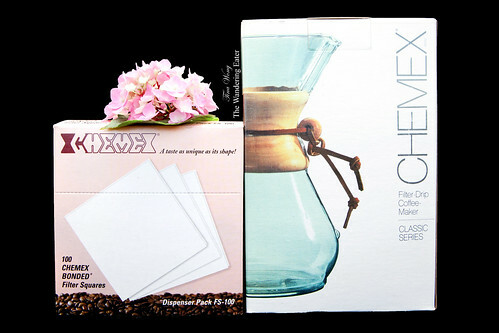 If you need the instructions as to how to brew your cup of Chemex coffee, here it is. Victrola Coffee was opened in 2000, located in Seattle, Washington’s the little 15th Avenue neighborhood. It’s named for the popular home phonograph of the 1920’s, embraced the liveliness, exuberance and fun of the Jazz era. In 2003, they roasted their own beans in the back of their café. They committed ourselves to the task of sourcing, roasting, and preparing the finest coffees available. Since then, innovation has marked our roasting operations and coffee preparation. I’ve tried nine different, wonderful coffee beans from Victrola. The Empire blend ($8.25 per 1/2 pound) was created to be the only blend that is not espresso. 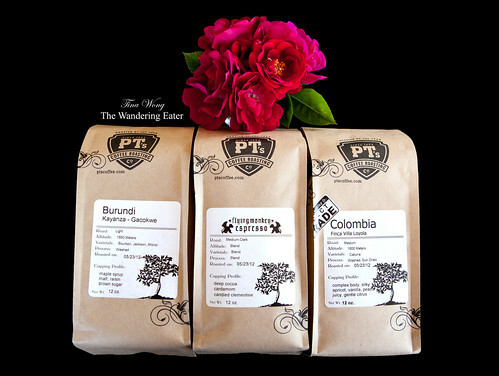 They chose three Latin American coffees that would compliment each other well in body, acidity and mouth-feel. It tasted wonderful; notes of tobacco, dried fruit and toasted marshmallow followed by a clean, balanced cup full of sweet chocolate and clean acidity. 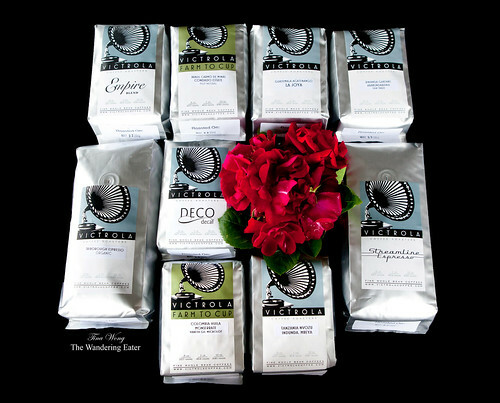 Deco Decaf ($9.50 per 1/2 pound) is an organic, Fair Trade, water processed coffee beans. I normally don’t care for decaf coffees because it tends to taste awful but I’ll make an exception for this one. Notes of dried cherries and prunes in the dry aroma become juicy black cherries and soft plums in the cup. The Indonesian beans are the base, as it lays down the heavy bodied, fruit focused structure for the Central and South American coffees to show their cinnamon graham cracker and baking chocolate softness. It’s quite a delicious cup. Streamline Espresso ($8.25 per 1/2 pound) is essentially the dark and complex espresso that you would sip and savor. In a swirl around the cup, it offers fleeting notes of fresh pine that plump into a full, soft caramel aroma. Streamline’s fruity flavors of juicy blueberry and blackberry, carries it across the palate slowly. There were toasted hazelnuts, bittersweet chocolate, and brown sugar. Triborough Organic Espresso ($8.25 per 1/2 pound) is the laid back version of the Streamline Espresso. It is a well-balanced, heavy-bodied espresso that first hits the nose with a delicate floral sweetness, followed by a buttery caramel mouth-feel. Rwanda Gakenke – Abakundakawa Coop ($11 per 1/2 pound) The Akundakawa cooperative consists of nearly 2000 independent farmers, nearly 40% of whom are women who head households, in the northern mountains of Rwanda in the Gakenke district. With the help of infrastructure improvements from USAID, this community has gained a reputation for producing interesting and complex, high quality Fair Trade coffees. In 2011 a lot from this coop ranked amongst the best coffees the country in the Rwanda Cup of Excellence competition. This roastery purchased this particular lot of the coop’s coffee, as it’s silky smooth body and a complex mingling of clove, tart pomegranate, and brown sugar in the cup. Colombia Huila Monserrate Yaneth Gil Microlot (No longer available) is a deep, balanced, intense coffee. Nut, flowers, stonefruit, sweet cocoa in aroma and cup. It’s the ideal Colombian cup of coffee. Tanzania Nvozu from Indunda, Mbeya (No longer available) is from a 25-farmer village that contributed to this exclusive lot of 100% Bourbon N39 produced by the Nvozu coop. It is a lush and nuanced cup from Tanzania. Sweet violet aroma ushers in raspberry, honey and gentle, wine-like acidity in the cup. Brasil Carmo de Minas from the Condado Estate (No longer available) has a big lush body, mild acidity, and deep, rich flavors of almond milk and cocoa. Guatemala Acatenango from La Joya (No longer available) offers a rich, creamy mouth feel leading to a savory mix of browned butter and sage. This delicious pairing is accented by a tart lime-like acidity. 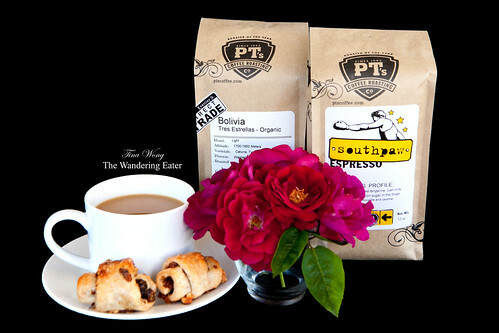 PT’s Coffee Roasting Co. is based in Topeka, Kansas. They began in 1993 as a single coffee shop in Topeka, Kansas. They started roasting coffee in 1997. They are recognized for award-winning small lot coffees and take pride in creating, preparing and serving the best coffees. Southpaw Espresso ($19.99/pound) is a well rounded espresso. It has a complex and sweet flavor profile in a straight shot that will manage to have enough body to punch through in milk based beverages. It has a tangerine acidity, juicy cherry sweetness, it has a rich milk chocolate and cocoa background. The texture is syrupy and dense, lending itself well to combining with milk, creating a malty milk chocolate flavor. Flying Monkey Espresso ($19.99/pound) was conjured out of experimentation and curiosity. Flying Monkey is a striking blend with a lot of versatility. It is extremely balanced, but playful, ranging from a deep cocoa and cardamom body to a candied, clementine sweetness. It works nicely with milk without being losing its flavors. Colombia Finca Villa Loyola (No longer available) is one of their most recent a Direct Trade partners. This cup of Colombia coffee is balanced and has finesse. Notes of ripe lemon, cocoa, peach, night flowers in aroma and cup. Rich, sweetly pungent acidity; plush, deep mouthfeel. It has a sweet-toned trajectory of a very long finish. Burundi-Kayanza-Gacokwe ($16.25 for 12 oz.) is from a small cooperative in the Kayanza region of Northern Burundi. 1,700 small farmers deliver their coffee to the station to be washed and processed. A premium price, well above the market rate, is paid directly to the farmers of this cooperative. When I opened the bag, I smelled notes of deep chocolate, almonds and fruity juiciness. Throughout the process of brewing, this coffee opened up with aromas of white chocolate, almonds, citrus, and a buttery note. When drank from the cup, it’s like biting into a sweet fruit that evolves on the palate. Sweet and juicy with hints of almonds. Delicious. Bolivia Tres Estrellas ($16.52 for 12 oz.) 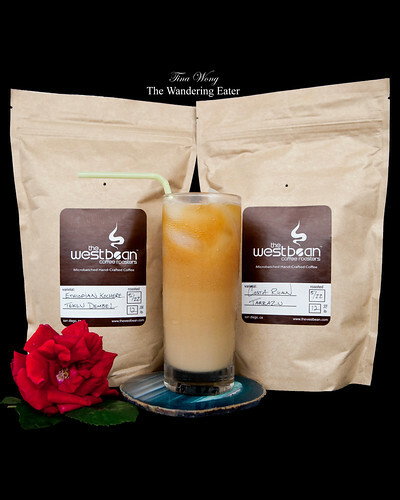 is a wonderful medium roast, organic coffee bean that has a round body with a elegant acidity, with notes of vanilla, caramel, and brown sugar. The West Bean is a micro-roaster founded by three friends who are passionate about coffee based out in San Diego, California. Don Roberto Estate Costa Rican Tarrazu ($13.99/pound) is a single-origin coffee is a well-balanced bean noted for its bright, lively flavor and smooth aftertaste. They gently roast this distinctive variety golden brown (known as a light City Roast) to preserve its origin characteristics. Ethiopian Kochere Teklu Dembel ($16.99/pound) is drectly traded and comes from the Kochere region of Yirga cheffe. This lot is picked from old vine heirloom coffee shrubs and is as complex, wet processed coffee. It’s delicious from a complex combination of honey, citrus peel, jasmine, and berry in the cup.